Receipt Hog Review.... Pretty good, if you don't mind sharing! With the cost of living being what it is today, it’s no wonder why so many folks are either looking for additional ways to make money fast or are just trying to figure out a way to be able to save money any way that they can! We’re not financial experts, we do like to encourage all of our clients to think about how they may be able to earn more money for their family be taking advantage of many of the passive income ideas that are out there or perhaps by becoming self employed and allowing themselves to become their own boss. Recognize that not everyone will be able to make a MAJOR change in their lifestyle in order to be able to EARN more money or SAVE more money right away. 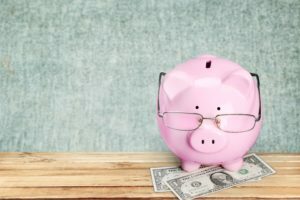 For some, this “change” may have to occur more gradually and may require that they first take on a part time job first or simply begin earning more or saving more simply by better managing their money. We’ve decided to write two separate articles focusing on to best money making apps and the best money SAVING apps so that just about everyone regardless of their personal situation can begin to take a pro-active role in the betterment of their own financial history. Which brings us to our Receipt Hog App Review and why we chose to include the Receipt App on our Top Money Making Apps article. Receipt Hog App, what is it? And how does it work? What is the Receipt Hog App? The Receipt Hog app is a free app you download to your smartphone which allows you to receive a “kickback” each and every time you purchase a product that you would have otherwise purchased anyways. This is because, unlike other “money saving apps” Receipt Hog doesn’t care what you buy, rather it’s the information and data that they can collect from your purchases that really interests them. All of this data is valuable if your a marketing firm which is why Receipt Hog is willing to “compensate” you for providing it to them through their app. How dos the Receipt Hog App work? Basically, what you do is every time you go shopping, after you’ve made your purchase, you’ll then “upload” your receipt into the Receipt Hog App so that you can receive credit which will then be sent directly to your bank account. Why does Receipt Hog want your receipts? Receipt Hog needs your receipts for two reasons. First, they need to verify that you purchased the product that you were interested in so that they can “credit” your account and second, Receipt Hog wants to use these receipts to help track “spending habits” for the market research company, InfoScout. You get rewarded with cash and they get what they want: which is the data. Receipt hog works for Android and iPhone. The Receipt Hog App allows you to get paid in one of two ways. You can either have your bank account get credited directly through a PayPal account, or you can elect to receive gift cards which can be redeemed on Amazon.com. It’s pretty safe to say that you’re not going to get rich by handing over your receipts to Receipt Hog, but you might be able to earn a few extra dollars a week. Which is why we don’t recommend you quitting your day job just yet. Have the time to upload to your phone or tablet, and if you find it even slightly fun, then there is a really good chance that you may be able to earn a little extra cash each and every day that you use it. The Receipt Hog apps awards “coins” for certain purchases. Those “coins” can then be turned into cash when you eventually accumulate enough. To get $5 in cash or gift cards you will need 1000 coins. To get $30 you will need 4500 coins. Do the math and you’ll quickly realize you need to spend a sizable amount to get that $5. But if you have a big family (or you just like to spend a lot! ), you might get there pretty quickly. It really just depends on your spending habits. You’re basically “selling” your shopping patterns for a cheap price. So, if this is something that you’re not comfortable doing, don’t bother downloading the Receipt Hog app. That said however, if you already purchase a lot of products online or you already take advantage of loyalty programs from your favorite retailors, chances are, your “shopping patterns” are already well known. Plus, remember you don’t HAVE to upload every receipt. Don’t want them to know about a few of your purchases? Don’t upload them! Nobody needs to know that I eat 2 gallons of mint chocolate chip ice cream each and every month! By now you may be wondering why an insurance brokerage is writing a review about the Receipt Hog app, which is a totally normal question to have, and one that we’re happy to answer. We are not writing this review because we are associated with Receipt Hog in any way. We have not and will not be receiving any kind of compensation from Receipt Hog for writing this review. So, if you try it out and like it, great! We’re glad we were able to suggest something that was able to help you out! If you don’t’ want to “share” your data or tried out the app and didn’t like it, no worries. You see, here at TermLife2Go, we really only have one goal in mind for our clients which is to help them improve the financial security of their loved ones. And while we feel that a life insurance policy is a great way to do this (Interested in knowing what it would cost, just click here Term Life Insurance Quotes) we understand that not folks are going to be able to qualify or afford a life insurance policy right now. Rather than just say… “give us a call when you’re ready” we also like to provide suggestions to our clients which may be able to help them out today, when purchasing a life insurance policy isn’t an option. We are NOT financial experts or money managers. All we are is a bunch of life insurance agents who just happen to be really good at helping folks qualify for life insurance and who just happen to CARE about all of our clients, even those that we can’t help out today!